We're pretty lucky living in Manchester with the vast selection of really good restaurants, bars and cafes but sometimes when it comes to picking somewhere to go it can be pretty difficult (talk about first world problems right?). 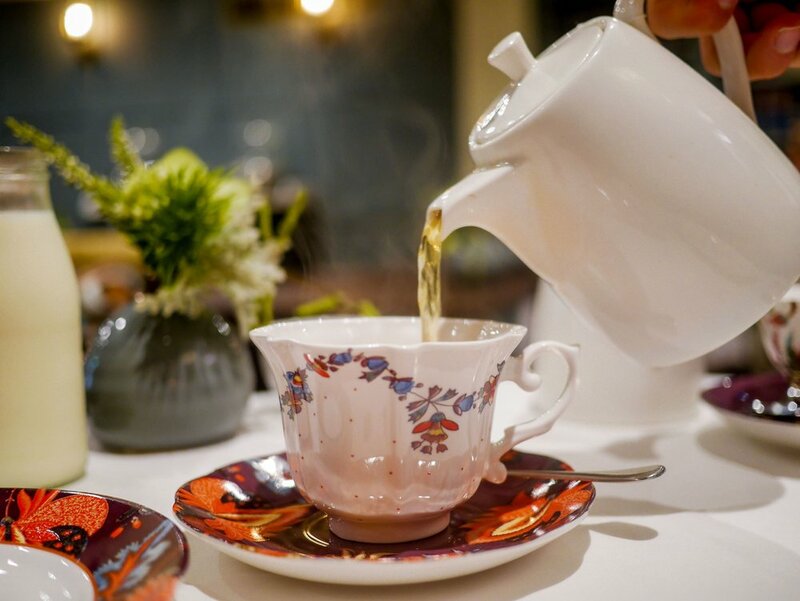 That said, if you're looking for a spot for afternoon tea we're going to make that selection extremely easy for you because we've found Manchester's best afternoon tea and it's ridiculously good. When it comes to King Street Townhouse we're a little biased as we got married on an uncharacteristically warm sunny October day in their sister hotel Great John Street, another amazing place to visit if you can find a weekend when it's not booked up for private events (good luck with that!). But regardless of that we visited with an open mind and empty bellies ready for the big spread we'd seen online. 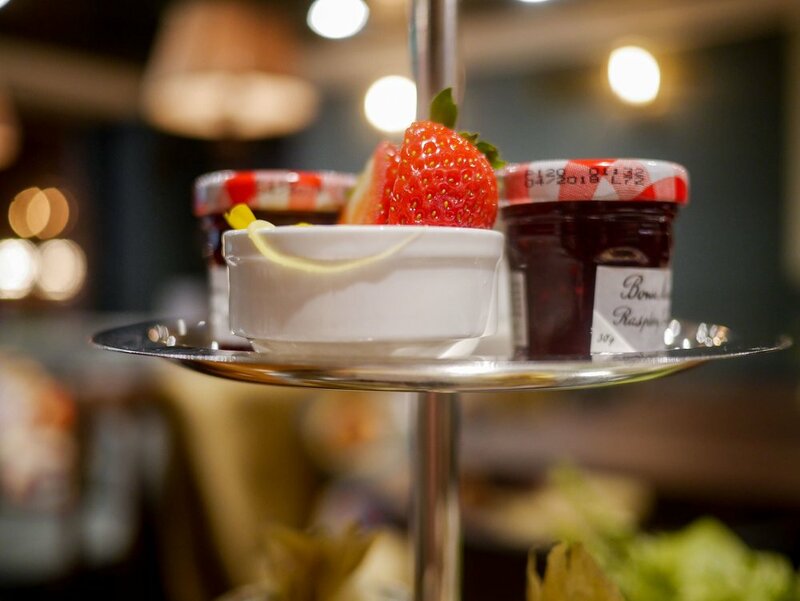 We opted for the traditional ladies afternoon tea in their cosy tea lounge, you'll find it just past the swish bar filled with comfy sofas, cushions and candles. The afternoon tea comes complete with a selection of the best finger sandwiches, we're talking smoked salmon with avocado & crème fraiche, egg mayo & watercress, coronation chicken, cheese & tomato chutney, and finally mint, cucumber & crème fraiche followed by the prettiest display of cakes & scones, which included currant scones with thick clotted cream & jam, raspberry macaroons, blood orange & vanilla cheesecake, rhubarb trifle and a super rich chocolate & pistachio tart. Despite all the sandwiches tasting incredible we could of happily taken a full tray of the coronation chicken as they were absolutely divine, the perfect mix of fruity, rich and creamy although the cucumber sandwiches were extremely refreshing with their addition of mint, something we'd never of thought to add before but a recipe we've already stolen. Admittedly only Liam could stomach the chocolate & pistachio tart after the increibly indulgent meal we'd already had but he vouched that it was as good at the rest! 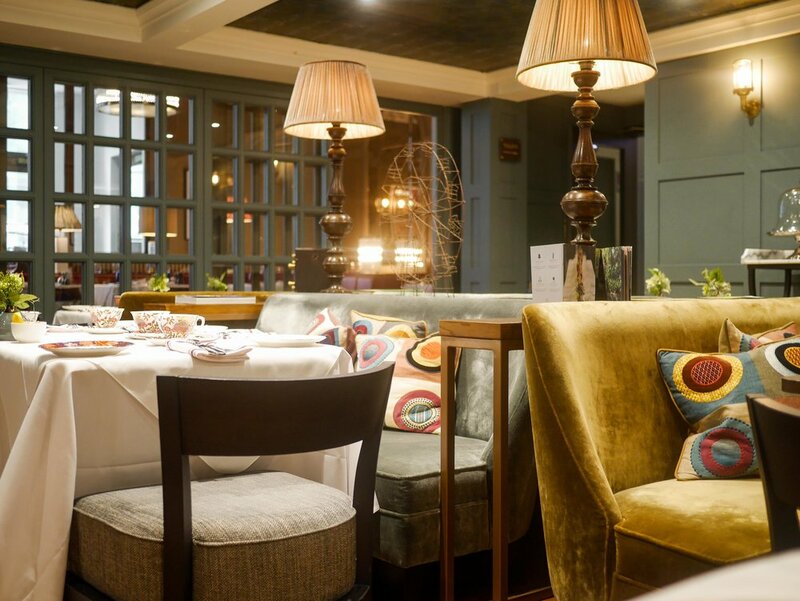 We'd fully recommend King Street Townhouse for afternoon tea and despite having numerous afternoon teas around the city (see our review of Rosylee's here), this one will always be our number one. If you fancy giving it a go yourself they currently have 25% off in January and it's so worth skipping the clean eating for! Pro tip - skip the champagne option and go straight for the Espresso Martinis, the perfect way to round of your lunch and they're the best you'll find in Manchester too! An incredibly creamy, super sweet base matched with the perfect amount of warm bitterness from the coffee (so good that even though they weren't on the menu on our wedding day a certain one of us had her first bridezilla moment until said cocktail was in hand).